There is no excuse; green building materials are all over the place, from recycled scrounged bricks found in a back alley, to professionally deconstructed lumber and architectural details, to whatever nature provides. Free materials are the best; however, they all have a cost. 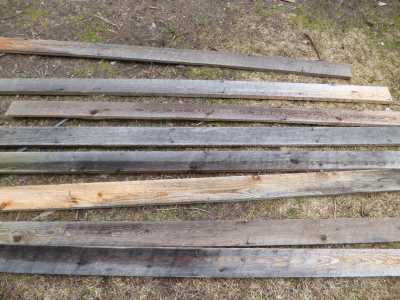 Whether it's your time and effort to remove nails from recycled lumber, or the cost of a machine to dig and sieve soil for earthbag construction, only you can decide if it's worth it. Embodied energy is the intangible measurement of how much energy something costs to make, ship, and deliver that material to your site. Sometimes, the material is worth using because of its other benefits, even though it costs a lot (financially, and environmentally) to make, such as Portland cement. Without cement or in it's finished stage it's known as concrete, there would be no way of building some of the structures that make up our vernacular style of building homes. New materials are mandated for construction that will be inspected; if you're getting a building inspection for your tiny house, this could be a bit of an obstacle - or not. We used a lot of Oriented Strand Board (or OSB) to sheet in the walls and floors. The great thing about it is that it's manufactured all over B.C. and is always a standard size - 4x8'. The manufactured edge is square, so that makes it easier to get your stud walls square and plumb, always an issue if you're using some kind of salvaged material as structural members. Salvaging an old building, and either moving it whole, to deconstruct on site, reuse as an addition or to build on can be an effective way of gaining space. Volunteers are a valuable resource too; keep them happy, and they'll come back for more. 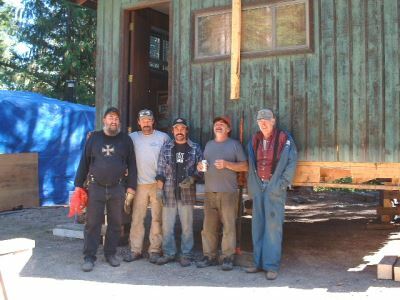 Thanks to our willing crew who hauled and off loaded the Tallyman Shack, a building bought for a few dollars from a mill site when they upgraded their facilities. Building with stone is an age old method of creating sturdy weather proof homes, churches and cathedrals; here in B.C. we are blessed with an abundance of all kinds of stone, from granite to shale. 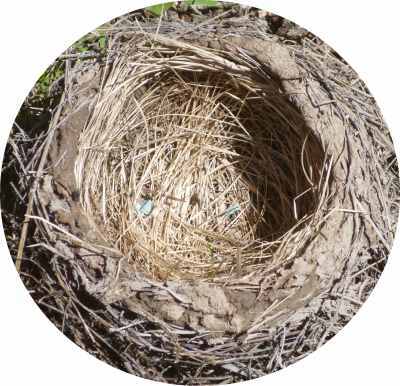 Birds and animals have used natural building materials for millennium; with that kind of success, I would say that's a great argument for building your next nest - er, dwelling, with some of natures simplest and easy to use supplies. Nature also provides trees to use for building, straight from a forest. See how this small timber frame home was built from a sustainable plantation of chestnut logs. Where's your favorite Green Building Materials source? Do you know of a great warehouse with recycled or salvaged building materials? Or other ways to keep valuable supplies out of the waste stream? Share it!